It’s no secret how dangerous the cars that we use every day really are. Assuming that you don’t live long enough to die from some sort of internal problem, the single most likely cause of your death would be a car accident. In fact, it’s not even close. Because of the necessities of modern life, the need to travel to work, school, and everywhere else everyone are required to be, people generally gloss over the possibility that the next car ride they will take might be their last. Since they’ve got no choice but to use them, there’s no point in obsessing over the danger that cars pose. However, despite the anxiety and discomfort it may cause, ignorance of a potential danger will only ever make you more susceptible to succumbing to it. Despite the ever-present possibility of an accident that is truly out of your control, there are a number of things you can do in order to proactively reduce your chance of becoming a statistic. Obey traffic laws, never use a phone while driving, and adjust your driving to the weather and circumstances you are driving in. A stunning quarter of all fatalities from all car accidents are related to the weather in some way. If you look at the deaths from fog alone, that’s still over 500 people killed yearly. In many of those cases, those deaths may have been avoidable. 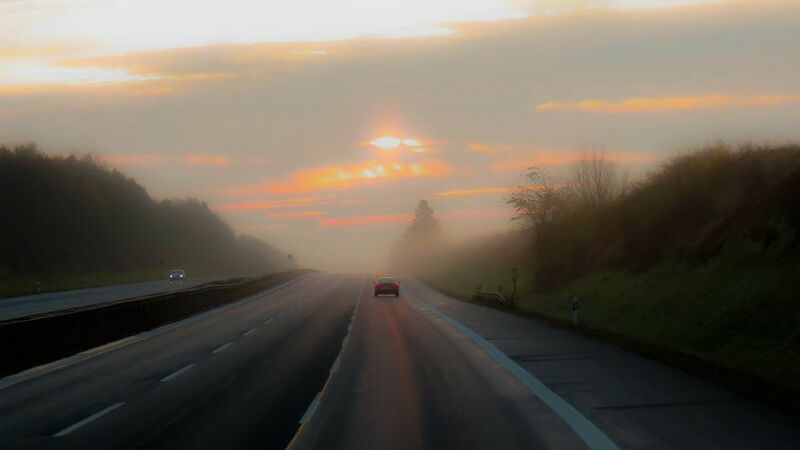 Keep these tips in mind whenever you have to drive in the fog, and you’ll be much safer and less likely to find yourself becoming a statistic. Whenever you’re in the fog, you should always drive more slowly than you would have otherwise. If you’re used to speeding, that doesn’t just mean that you stick to the speed limit. You have to be going slowly enough that you can stop in time if there are any obstructions that sneak up on you in the fog. That means that you need to have time to react, also known as stopping distance. As a general rule, each 10 mph you are going above zero is another car length that a car needs to come to a stop. The thicker the fog that you’re traveling through is, the less stopping distance you’ll have in case of an issue. Therefore, the thicker the fog, the slower you should be going. If that means going well under the speed limit, then so be it; it’s better to get to your destination late than to hit something you couldn’t see that you were approaching and potentially have a very serious accident. And if the worst happens and you do end up in a collision, the slower you are going when it happens, the less of a chance of death or serious injury. At a certain point, too much caution becomes a danger in and of itself. There’s a difference between driving slowly and cautiously, and becoming a dangerous obstruction yourself. You can definitely travel slowly for your own safety, but you cannot slow down to a crawl where your care is barely moving, and you absolutely cannot stop in the road. Any cars coming up behind you might not be able to react in time to avoid hitting you. If the fog truly becomes more than you are comfortable with traveling through and you need to stop, then pull over to the side of the road before doing so, and wait out the fog. If you do end up pulling over to wait out the fog, make sure that you’ve pulled over as far as you can, maybe even a little bit farther. Other drivers will be having the same difficulties that you were, and not all of them will have decided to wait out the fog. If your car is partially in the road, or even just not far enough off of the road, it’s very possible that another driver will careen into you, misjudging the lines of the road because they couldn’t see well enough. If you are pulled over, never get out of the car on the driver’s side. You might not see an oncoming car until it’s too late, and they definitely won’t see you. If you do need to vacate the car, crawl over to the passenger side and get out that way. Never slam on the brakes in the fog unless you absolutely need to. That goes double if you have a car behind you that you can see. You always want to cruise to a stop, getting those brake lights on early, so that the car behind you, whether you are aware of its existence or not, has plenty of time to adjust to the fact that you are stopping and come to a slow stop themselves. Sometimes, of course, a sudden stop is inevitable; if a deer jumps out of the fog at you, you don’t have the luxury of slowly cruising down to a stop. But in all other instances, you should be stopping slowly, and hopefully, if you do have to slam on the brakes, you and any following drivers are going slowly enough to avoid any catastrophes. If you’re the car in back, then you have an even bigger responsibility to avoid an accident. Generally speaking, if two cars are in a car collision where one has rear-ended the other, then insurance companies will consider that the fault of the car that did the rear-ending. That’s because the car in back has more ability to be proactive and avoid a collision. When traveling behind another car in the fog, leave a lot of room to stop if you need to. You should always be in the practice of leaving stopping distance anyway, but in fog, you should double that distance, relative to how fast you are going. Driving in the fog requires constant vigilance. If there’s one thing that encourages the driver to be less vigilant, it’s cruise control. Plus, when you’ve got cruise control on, you don’t need your feet to be engaged with the pedals. Assuming you are paying 100% attention to the road, that still means you need to waste a split second getting your foot in position to hit the brakes. In car accident terms, that split second could spell the difference between unscathed survival and an early death. Never, ever engage the cruise control in inclement weather of any time, you want to be manually regulating the speed yourself. Fog has a tendency to get moisture on the outside of your car, even further reducing your visibility. 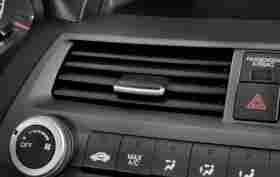 If your windshields or windows start to fog up, get the defogger on and the wipers wiping. Even if the heat from the defogger makes you a bit uncomfortable, you need to maximize your visibility. Bright lights are used to get more visibility at night, but when driving in the fog, they are actually counterproductive. The bright, slightly higher light just reflects off of the fog you’re driving into it, making it appear thicker and block out more from your view. Your regular lights, aimed lower and with lower intensity, are actually much superior in terms of navigating the fog, counter-intuitive as that may be. Some cars, especially newer cars and luxury cars, come equipped with special fog lights; if you have these, they’re the obvious best choice for navigating the fog. Otherwise, stick to regular headlights. When focusing on a particular object, human beings have a tendency to aim towards that object, even if they are consciously trying to avoid it. It’s a phenomenon known as object fixation, and it’s a major factor in a number of automobile accidents, especially those involving motorcycles. When driving in the fog, you often only have two permanent guidelines to use: the yellow lines to your left, and the white ones to your right. Use the ones on your right, because if you do start to drift due to object fixation, it’s better to graze the edge of the ditch or to go over the rumble strips than to drift past the medium into the oncoming lane. If you are behind another car, you might start using their red brake lights, the most easily visible thing in front of you, as a guide to where you’re supposed to be. Don’t. Focusing on the red lights can give you tunnel vision, causing you to miss other things that might be in your way. Look at the whole road, not just one spot. Driving in the fog requires absolute focus at all times. You can’t change with the music or fiddle with the air conditioning. You especially can’t use your phone, or any distracting device. All of your attention needs to be on the road in front of you. In fact, if you know it’s going to be foggy, and it’s a trip that you can avoid going on, then you should make the smart choice, and avoid going out at all. If you do have to, though, keep these tips in mind and stay safe.